Some evidence is trickling in that some in Congress are listening, and are as frustrated as the providers, hospitals and patients..
abuse, patient privacy, and sustainability." Transformations in health IT will significantly change how health care is provided in this country. transformations offer the promise of increased efficiency, reduced costs, and improved quality of care. address the issues raised in this white paper, evaluate the return on investment to date, and ensure this program is implemented wisely. Their analysis appears to be accurate, pointing out many deficiencies. 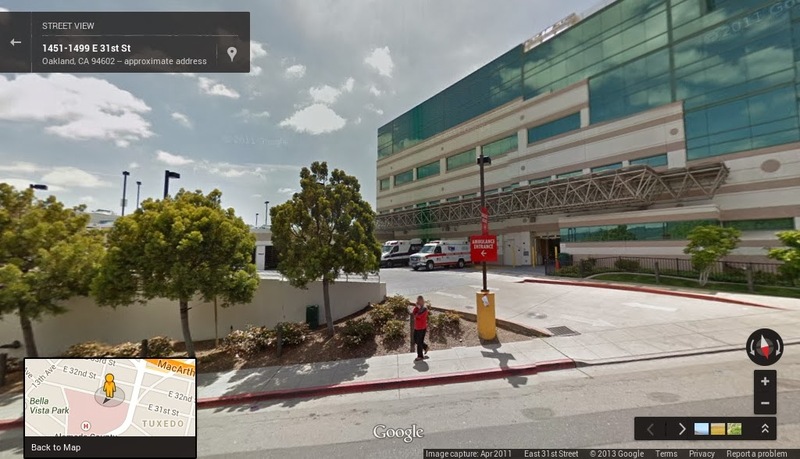 abuse, patient privacy, and sustainability. 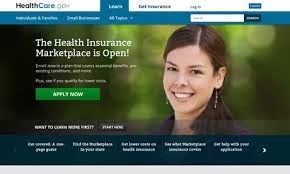 IRS VIOLATES HIPAA FACES LAWSUIT BY A "JOHN DOE"
HealthCare IT News reports The Internal Revenue Service could now be facing a class action lawsuit over allegations that it improperly accessed and stole the health records of some 10 million Americans, including medical records of all California state judges. According to a report by Courthousenews.com, an unnamed HIPAA-covered entity in California is suing the IRS, alleging that some 60 million medical records from 10 million patients were stolen by 15 IRS agents. The personal health information seized on March 11, 2011, included psychological counseling, gynecological counseling, sexual/drug treatment and other medical treatment data. "No search warrant authorized the seizure of these records; no subpoena authorized the seizure of these records; none of the 10,000,000 Americans were under any kind of known criminal or civil investigation and their medical records had no relevance whatsoever to the IRS search. IT personnel at the scene, a HIPAA facility warning on the building and the IT portion of the searched premises, and the company executives each warned the IRS agents of these privileged records," the complaint continued. 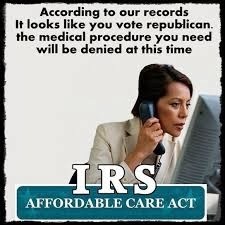 The Department of Health and Human Services recently stated that the ACA does not grant the IRS open access to Americans' medical records with no cause. "The Affordable Care Act maintains strict privacy controls to safeguard personal information. The IRS will not have access to personal health information,” said HHS spokesperson Erin Shields Britt, to Kaiser Health News. The IRS refused to comment when questioned. The present plan is for the IRS to verify and document income and the consumer's insurance status. 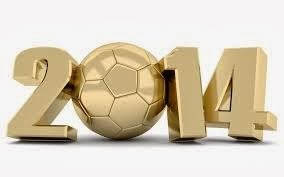 This is contemplated to begin in 2014 in order to determine the consumer's insurance status. The result will be used to determine a fine or penalty in lieu of insurance. Thus far we have seen extreme difficulty with the mandate for October 2014, wherein the Health Benefit Exchanges would be accessible to the public. This did not occur, as planned. The vagaries of having two large governmental agencies coordinating their tasks is worrisome. HHS has demonstrated problems with their own agency, and this behavior by the Internal Revenue Services raises serious questions about HHS and the IRS conforming to HIPAA regulations. The roll out of the ACA has been fraught with difficulties, and the majority of Americans are not in favor of continuing in it's present form. Some want the ACA repealed, others want major amendments to the law. Despite law our executive branch makes unilateral decisions, ignores mandate dates, and has caused major upset to insurers and patients, alike. Trust and faith have much to do with acceptance of laws, and the doctor-patient relationship. As physicians our duty is our patients. Most patients do not understand the inner workings of the system until it goes wrong. It is our ethical responsibility to inform our patients how the system works, and the inherent and probable dangers of the affordable care act. Health Reform is a bit like designing a highly advanced technological wonder such as the F22 Raptor or the discontinued F35 Raptor. Each one has several different renditions depending on it's branch of the service. The U.S. Navy wants one for aircraft operations, the U.S. Army for field operations. Some models afford vertical take off and landing capability. Many aircraft are taken through a design process, gradually evolving into prototypes, then a preliminary manufacturing run to test the product. Some fail at some step of the process, early or late. Billions of dollars are spent and the weapon is placed on a shelf somewhere near Area 51 to gather dust, or recycled for expensive composites. At times all that is left are drawings stored on a computer. During the process the product often does not make it to fruition. However during the development much is learned, and what may often happen is the information is used elsewhere. My first resolution is to not be so negative about the ACA. True it is more than a health reform law, with many ideas that are proposed by ideologues intent upon restructuring the U.S. economy and social structures. True it flaunts many constitutional guarrantees and freedom is threatened by it. My second resolution is to ignore constitutional issues and focus on the inherent flaws of the law, and it's ignorance of how health care economics truly works. My third resolution is to contact my Democratic Congressman to convince him of the errors of his party. Despite being a democrat he needs to vote his own beliefs. Also I will not vote for him based upon his vote for the Affordable Care Act. The Obama administration has become a personality cult with a leader who spends more time campaigning and vacationing. We hear little about his day to day Oval Office routines. 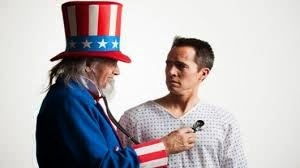 The Affordable Care Act may be the law, however there have been many laws that were rescinded, such as the Prohibition Act ( Constitutional Amendments 18 & 21 ). It's time to stop the design process and to put on hold any further production of this model. The design is obviously still in process as evidenced by the frequent unilateral executive orders regarding mandates. Any program manager would stop and assess the unexpected bumps in the road before the entire plan goes over the cliff. Aeronautical engineers usually take a step by step process...start the engines after testing them offsite, taxi down and back the runway, take off, check the gear, return and land. At this point an evaluation takes place before the major launch. It is painfully obvious which plan was chosen by 'our leaders'. When HealthCare.gov and some state-run insurance marketplaces ran into trouble with their Web sites in October and November, they urged consumers to submit paper applications. 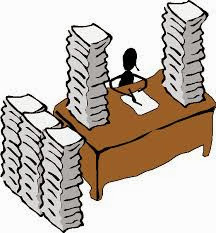 Now, ProPublica's Charles Ornstein reports , it's time to process all that paper. And with the deadline to enroll in health plans less than two weeks away, there's growing concern that some of these applications won't be processed in time. After a conference call earlier this week with federal health officials, Illinois health officials sent a memo Thursday to their roughly 1,600 navigators saying there is no way to complete enrollment through a paper application. Covered California in recent days disclosed that it had a backlog of 25,000 paper applications that had to be processed before the Dec. 23 deadline to sign up for coverage that begins Jan. 1. 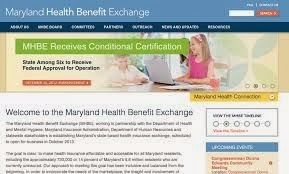 In Maryland, another state whose exchange has been plagued by difficulties, 8,500 paper applications were pending as of last week. In Vermont, there is a backlog of 1,210 applications, some dating back to as early as Oct. 30. It does not look good for a smooth transition to a January 1 startup date. Even for those who have enrolled there have been no reports as to who has received premium billings. That is the bottom line......no $$ no insurance. Perhaps our government should automatically pay the premiums for the first 90 days to make up for their negligence, and not really giving a damn if this works. In Oregon the response to enrollment has been abysmal. Today my message is one of hope and optimism. Health and Wellness are dear to us all. We have many tools, HIT, EMRs, ACOs, ACA, Health Benefit Exchanges and more to come. Who knows what is next or what we have built, or predict will be here in five years. Chances are very good, they will not be based upon our looking back ten years. Not much is left from those days. It all goes beyond my capability to absorb and synthesize. Much of what I seek is answered by the parables. My hope is that all will take away some glint of wisdom from these words, no matter what the challenge. 15“Beware of false prophets who come disguised as harmless sheep but are really vicious wolves. 16You can identify them by their fruit, that is, by the way they act. Can you pick grapes from thornbushes, or figs from thistles? 17A good tree produces good fruit, and a bad tree produces bad fruit. 18A good tree can’t produce bad fruit, and a bad tree can’t produce good fruit. 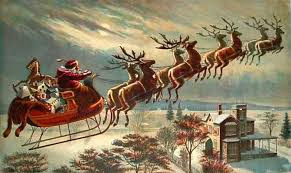 19So every tree that does not produce good fruit is chopped down and thrown into the fire. 20Yes, just as you can identify a tree by its fruit, so you can identify people by their actions. This is my holiday gift to all. I doubt if the family's and students at UCSB or Princeton who had Type B meningitis don't feel it was a "near miss" For them regardless of the low risk of contracting the type B strain when it occurs to you statistics mean nothing. Meningitis is a particularly challenging illness to diagnose and treat early. It often presents as a mild sore throat which quickly escalates into a high fever, mental changes, stiff neck and rash. Unless intervention occurs early loss of limbs, and other severe complications can arise. Sore throats and headaches and fever are ubiquitous at any school in the fall and winter. Meningitis can be caused by multiple etiologies, (fungal,parasites, viral, and bacterial). Multi-valent and univalent vaccines have been developed. 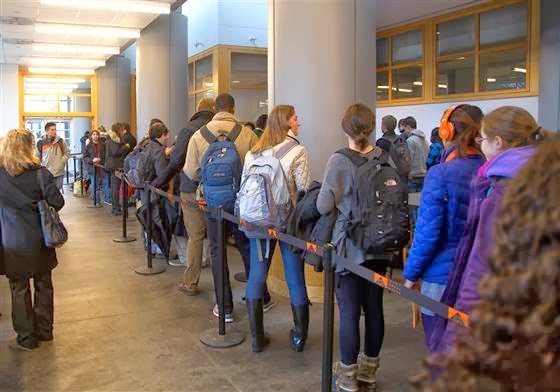 Nearly 2,000 Princeton University students lined up for shots Monday as the New Jersey school began offering an emergency vaccine aimed at halting an outbreak of potentially deadly meningitis that has sickened eight since March, health officials said. That's about one-third of the estimated 6,000 students and others expected to get injections this week of an imported drug approved in Europe, Australia and Canada, but not in the U.S. It protects against the B strain of meningitis — the bug behind the illnesses — which isn’t covered by the vaccines that most college students already receive. Statistics can prove almost anything. Logic and probability are terms that 'QUANTS" use. Quants are the statisticians that develop and consult algo's (algorithms) . Algorithms have always been important in the insurance world, engineering, weather forecasting and much more. 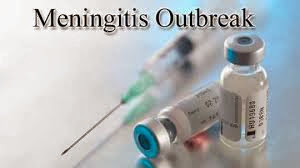 The non-availability of Meningitis type B vaccine was due to one of those algorithms that determined it was NOT COST EFFECTIVE to import Bexsero into the U.S. It was deemed by decision makers that it would be too expensive to run through the U.S. FDA investigative new drug application process. For most really new drugs this can be one or more years. The drug manufacturer, of Bexsero, a vaccine licensed only in Europe and Australia that protects against meningitis B, a strain not covered by the shots recommended for college students in the U.S. had to apply to the FDA to initiate the process (started in October 12-13 at about the same time as the first cases at Princeton and UCSB were diagnosed. The first doses were given at Princeton December 9, 2013. The process obviously was fast-tracked but it required two months because of the arduous bureaucracy. 2..A centralized authority such as the Affordable Care Act and the proposed IPABs establish many procedures and/or treatments that are acceptable, not recommended, or 'not covered' by the affordable care act as a standardized practice, all based upon statistical algorithms. 3. Diverting from a standard practice, or an emergency practice can be delayed considerably by these processes. Inevitably the physician has the moral and the ethical responsibility for the decision. The patient's welfare is the ultimate arbiter. Our health system is becoming dangeously close to interfering with a physician's hippocratic oath. Whether your favorite celebrity knows anything about health may be open to question. 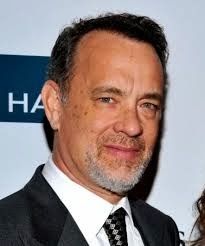 However given the visibility of celebs such as Angelina Jolie and the topic of breast cancer; or type II diabetes (such as Tom Hanks) many want to contribute their celebrity either due to a personal involvement with the disease or for charitable purposes. Somewhat open to question are those who endorse a specific treatment,rather than elevating the public awareness of the disease or treatments. Celebrities can use their enormous stage presence and visibility to the general public far more than millions of dollars spent by government in public health advertising or announcements. The effects of the so-called "Angelina Jolie effect" even have reached across the pond, where breast cancer charities have reported a four-fold surge in women asking about having their breasts removed since Jolie announced she'd had the procedure, according to Daily Mail. And the number of calls Cancer Research UK's helpline received about a family history of breast cancer increased from 13 in April to 88 in May, the article noted. In response to Jolie's breast cancer media bombshell, doctors acknowledged not all women need genetic testing but all women should discuss it with their doctors, FierceHealthcare previously reported. Kim Kardashian brought to light the importance of privacy and confidentiality in the health space and protected information by HIPAA.Some hospital employees in Los Angeles may have gone too far in their quest to "Keep Up with the Kardashians" and now have to face the consequences. Five workers and a student research assistant at Cedars-Sinai Medical Center (Calif.) were fired over privacy breaches involving patient medical records--and there is speculation that the patient was Kardashian, who gave birth to her daughter with rapper Kanye West in a birthing suite at the hospital on June 15, the Los Angeles Times reports. This event publicized HIPAA rules for the public and providers. News correspondent Amy Robach announced that she has breast cancer and would undergo a double mastectomy--after reluctantly agreeing to have a mammogram live on-air for Good Morning America. Had she followed the United States Preventive Services Task Force 2009 guidelines for screening, it's likely she wouldn't have undergone her first mammogram until a decade later. Robach is just 40 years old and has little history of breast cancer. This brought to life the controversy of statistical evidence for screening for many diseases. Obama's camp took to popular comedy site Funny or Die to get the word out about the Affordable Care Act, with skits featuring Jennifer Hudson, Amy Poehler and Olivia Wilde. Parodying TV's Scandal, Jennifer Hudson plays a "fixer" who offers up the simple (well, it should be simple) solution of signing up for coverage on Healthcare.gov to clients presenting their problems. In fact the Obama campaign used many celebs to raise awareness of Health.gov the national website to enroll in the Affordable Care Act. As health care professionals we should not take for granted our knowledge base as compared to the public. The Obama effort has some very funny videos that made even me laugh, and the ACA is no laughing matter. And then there have been comments from people such as Jenny McCarthy when McCarthy told Oprah Winfrey she "graduated from the University of Google," to come to this idea, but she's been spreading her view that vaccinating young children for diseases like mumps results in autism in books, newspapers and on TV--much to the dismay of doctors, scientists, researchers and other celebrities. Health Reform Doing the Right Thing ? The Affordable Care Act will do little to decrease health care costs overall, and early analysis shows that premiums have risen as well as deductibles. This will reduce markedly the amount of disposable income for families, and businesses. Those who can afford 'premium' insurance policies will be penalized by a tax specified in the Affordable Care Act. Reducing disposable income effectively impacts other areas of the GDP (Gross Domestic Product), thereby increasing the relative amount that healthcare contributes to the GDP. At the moment health care spending amounts to 16%, or 1/6th of the entire economy. Long before President Barack Obama made universal health coverage a national priority, Alameda County earned accolades with its mission to ensure decent medical care for all its nearly 1.5 million residents. A tax hike approved by voters a decade ago fortified an expansive safety net of public hospitals and primary care clinics. So why are local health leaders so worried as the new federal law takes effect in January? An arcane state funding formula, they say, will soon penalize the county for its commitment to treating everyone, including the poor and immigrants denied health insurance because they are in the country illegally. An arcane state funding formula will soon penalize the county for its commitment to treating everyone, including the poor and immigrants denied health insurance because they are in the country illegally. 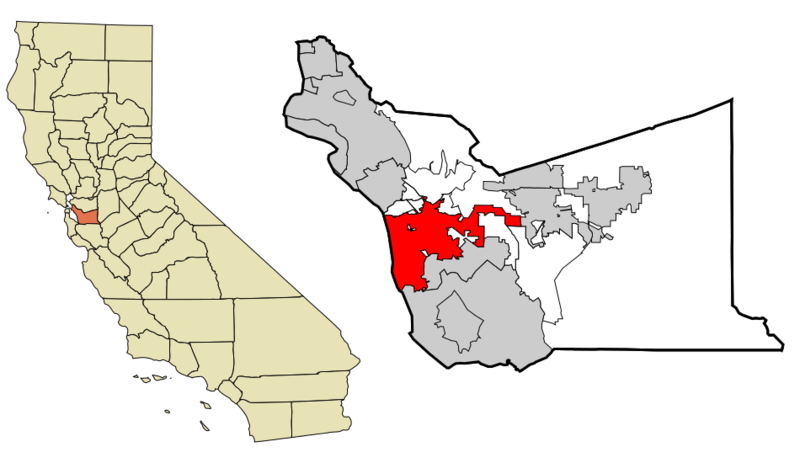 A liberal Bay Area county that positioned itself as one of Obamacare's California standard-bearers, beating out most others in laying the groundwork and pre-enrolling the poor, is now running into problems because of its generosity. But that voter and taxpayer contribution is counting against Alameda County as the state is about to take away $11 million in health care funds and could grab more than $30 million in the coming fiscal year. The cuts are based on the state's expectation -- Briscoe says an overly rosy one -- that expanding federal benefits will lessen the burden on urban hospitals and nonprofit clinics because more people will qualify for free or low-cost care through Medi-Cal. Since 1991, state health care funding has been channeled into counties from a pot of state sales tax revenue and vehicle license fees. But Gov. Jerry Brown signed a law in June that orders counties to cough up 60 percent of their annual allotment or submit to a complicated formula that puts Alameda County at a disadvantage. The state's reasoning is that the growing population of insured patients will be a boon to medical providers. 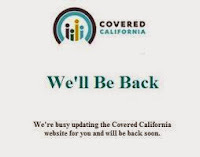 Yet local providers anticipate about 150,000 Alameda County residents will remain uninsured because they do not or cannot sign up for Covered California, the state's version of the new federal health exchange. As many as 60,000 are immigrants without documentation whom the county is determined to keep caring for despite their exclusion, by law, from signing up for health insurance. Alameda County's mission to leave no one untreated contrasts with counties such as neighboring Contra Costa, which explicitly denies county-supported care to immigrants here illegally. Alameda County in California has some unique features about their Safety Net. The California HealthCare Safety Net prepared an award ground breaking documentary, "TheWaiting Room" putsa spotlight onpatients and public hospitals in California. Thoughts for my Senator and Congressman who voted for the ACA without reading it. One patient even complained, “My new health care plan tripled in price, and now, it is like having a third loan to deal with, including my car and home loan.” A vicious cycle of blame between Washington, health insurance companies, and the patients is quickly demoralizing this nation and simply increasing costs with more administrative regulations. Surprisingly, in all of this, doctors were not even mentioned. As if doctors do not know the intricacies of how the health care system works. As if doctors are not there for their patients 24 hours per day, ordering tests or doing procedures that can benefit a patient’s well-being. As if doctors are not dealing with denials from the insurance companies on a daily basis, losing valuable hours to menial paperwork that could be spent caring for our country’s sick. Doctors have a duty to care for their patients and are the engines that put health care into motion. They yearn to maintain that physician-patient relationship that is important to the care of our patients. Unfortunately, doctors are not being directly involved in the health care reform debate despite being on the front lines of care. They have an opportunity to provide valuable insight into the day-to-day operations of this health care machine. Would you want to fly in a plane with no input from a pilot? Or design a curriculum without a teacher’s input? These “insider” insights are essential to health care in order to exact true change and improve health care for everyone to enjoy. Unless we embrace this idea and look to doctors to help solve these dilemmas, we will be doomed with increasing prices, more talking heads on TV blaming others, and dysfunctional insurance companies, all who have never spent a minute shadowing a doctor, yet claiming to know all the answers. First, older doctors will retire early fed up with the system. These older doctors feel that the loss of a patient-physician relationship and the burdensome regulations (ie. paperwork) will choke off their ability to provide good care. In addition, their expenses are increasing with these new regulations. Add in the projected cuts in reimbursement up to 26%, and their livelihood will be threatened. These cuts could force these doctors out of practice or force them to stop seeing Medicare patients simply because their expenses (which rise yearly) are exceeding their declining reimbursement, which has declined steadily over the past several years already. Second, young smart minds will no longer enter the field due to rising debt (average $250,000 after medical school) and severe cuts in reimbursement (yearly threats of 26% cuts to reimbursement). If young college students realize that they cannot provide for a family despite going to school and training for 14 years, deferring income for all those years, and then being slapped with a $250,000 medical school bill, they will turn to different professions. Third, current younger doctors will become more demoralized with administration and lawmakers dictating how they provide care. They will feel as if they are increasingly being treated as machines, expecting to provide great care such as answering patient calls at 2am, working 24 hours shifts, doing more procedures for less, and filling out more and more paperwork, all with the threat of getting sued if they don’t perform without making a mistake. This will produce a high burnout rate and poorer care. These doctors went into medicine to feel a healthy bond between themselves and their patients. They enjoy talking and spending time with them in the office. Unfortunately, with all the unnecessary documentation regulations and time restraints, doctors are losing the bond that is so critical for care. For those doctors who choose to stay in the field of medicine, many of them will instead elect to practice concierge medicine, taking the insurance company out of the equation and attempting to maintain the physician-patient relationship. There are numerous articles out there that show concierge medicine is growing. With current doctors feeling demoralized and younger students afraid to enter the field, this will create a massive shortage of doctors and threaten the health of our citizens. Having said all this, I as a doctor do not want this to happen. I went into medicine as a calling to help others and take this role seriously. I longed for the idea of sitting down and talking with my patients, sharing stories with them, not on the clock, and without cumbersome, slow computers and administrators documenting every move I make. I want every person in America to have access to quality health care all at a reasonable price because our citizens deserve this. Unfortunately, universal access to care at a reasonable price cannot materialize unless lawmakers look to doctors on the front lines of care for specific input. We as doctors know in many ways why costs are high and why the public is unfortunately misinformed about how it all works. But we need a representative sample of practicing doctors in Congress discussing these issues so that these “insider” insights can be applied to our current laws. I would now like to outline below a few of these ideas that would lead to better and more affordable care. Another example of confusing costs of medical treatment hits closer to home as my own mother presented to the ER with sudden blurry vision a few weeks ago. Concerned for serious causes for this symptom, several tests were run to rule out causes such as stroke or tumor. Thankfully, her diagnosis was nothing life threatening and is recovering. She then received the following bill two weeks later in the mail explaining her charges. I have attached a copy of the bill. The vehicle for this would be health savings accounts (which I will describe in more detail below), which would allow patients to use their own money with their doctor’s advice to decide on what care is best for them. This would increase competition amongst providers, lower prices, and offer more choice and involvement in their care. The second idea involves tort reform. We as doctors have a calling to help patients. But, as we all are human, mistakes can happen. It is very important that patients who are injured by mistakes be compensated in a way that the law is supposed to provide. However, the point of law is to provide reliable decision-making that can sort good health care from bad health care. Instead, currently, it is run ad hoc jury by jury with no set standards. The system currently favors a doctor if in fact something was done wrongly or it may favor a patient even if no mistake was made. This unreliability leads to defensive medicine, ordering tests and procedures just to prove that you did something, or excessively documenting trivial facts to prove you looked at everything. The estimates for defensive medicine has been estimated up to $200 billion per year. The current laws neglect both the patient and the doctor and drives up costs with administrative and attorney fees. The third solution highlights increasing patients’ roles in their own health, which would lead to more patient satisfaction, and actually lower costs. This could be accomplished with health savings accounts. These accounts would be funded by patients with pre-tax dollars and contributions made by employers and/or government subsidy stratified based on the individual’s income and job status. With actual money in these accounts, patients would be able to discern costs better and use this money as if they were consuming any other good or service, such as handyman services. This money could grow each year like an investment account and even be passed on to heirs at the time of death, keeping that sense of ownership with loved ones. In order for these accounts to work well though, hospitals’ and doctors’ prices need to be more transparent and reflect true costs so patients know what they are buying. Currently, that is impossible. Hospital and doctor bills make little sense, are falsely inflated (as described above), and do not reflect true costs, leaving patients confused about real costs to their health. When a patient hurts his or her knee, goes to the doctor, and the doctor orders an expensive MRI, there is no mention of costs. The patient’s insurance “covers” the MRI, making the costs a non-issue for that patient. There is no incentive to try ice, physical therapy, and rest before delving into an expensive MRI. If the actual price was known for that MRI, patients could know what they are “buying.” This price would be significantly less than the inflated charges because prices would be required to be transparent. True prices would be published and patients could shop for MRI scanners just as they would for any other service. This would thus allow patients control over how they spend their health care dollars. In the same light, during the last six months of our lives, we spend up to 50% of our own total lifetime health care dollars. In America, when patients are extremely sick and brought into the hospital, everything in our medical repertoire is used to keep them alive. Costs can be up to $10,000 per day of ICU care not including other aggressive measures. Unfortunately, patients may not know these costs. With patient funded health savings accounts, patients would have more of a role in their own care, and could decide based on a doctor’s recommendation the best course of action, considering the patient’s prognosis, benefits, risks, and costs. Of course, families always have input into their loved ones health near the end of his or her life and can decide how aggressive they wish to be while talking with their team of doctors. It states that modern medicine may be doing more to complicate end of life issues, rather than improve it. The article also states that people think death is a failure of modern medicine rather than simply life’s natural conclusion. I am not saying that every patient in an ICU needs hospice brought up. Each patient in unique and families should decide based on their values and wishes. A previously healthy 28 year old involved in a car wreck who remains in an ICU may need months in an ICU to recover and would benefit from this long hospitalization. It basically points out that most doctors choose less, not more, care at the end of their life because they personally witness the limits to human medicine action. 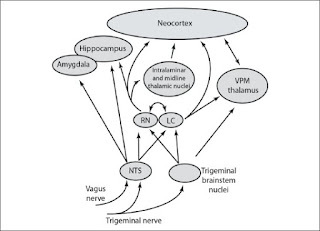 It illustrates that there is not always an answer or a cure and that doing nothing is sometimes the best care available. All in all, more patient ownership of end of life costs utilizing their health savings accounts combined with frank discussions with their doctors about these end of life issues would definitely lower health care costs and even help families cope with difficult illnesses. The final suggestion involves preventing chronic illnesses that end up costing Americans a lot as they age. We are very good at treating complex medical problems with patients who are very sick, but not very good at reducing medical costs through preventative medicine. We are very good at bringing a new state of the art drug used to thin the blood to the market, but bad at actually preventing the reason for needing that drug in the first place! In fact, 50% of our health care dollars ($623 billion) are spent on the sickest 5% of patients (30 million) in America. Interestingly, the top 1% of health care “spenders” accounted for 20% of the total health care expenditures in America. These are usually patients with multiple chronic medical conditions such as obesity, diabetes, kidney and heart disease. Studies often quote Americans as spending a lot on health care, yet being ranked lower than most other countries on health care outcomes. This is the reason these stats make sense. We spend a lot on patients who are very sick and can prolong their life, but do little to prevent them from getting sick. Recently, Sanjay Gupta summed up the solution to this paradox very well in a CNN article. He basically states that increased access to health care with Obamacare would not improve our health outcomes. Rather, patients taking ownership of their own health and holding themselves accountable will promote a healthier America. Eating better, exercising more, and reducing stress can go a long way. It would also reduce the likelihood of developing these expensive chronic medical conditions, which drive costs higher. In conclusion, I feel that Capitol Hill needs input from doctors working in the front lines to discuss our issues so that the best reform possible can be made. Doctors experience all of the above issues on a daily basis and have insight that politicians cannot observe since they do not spend time in doctor’s offices or hospitals. These are a few issues that would help our deserving patients get the best care and restore that critical relationship we need with our patients. I believe that by empowering patients more in the health care system through health savings accounts, reforming our tort laws, making costs more transparent, being more realistic about end of life issues, and living healthier, we can come a long way. I hope we can work together with lawmakers to create a system that can benefit everyone. Matthew Moeller is a gastroenteroloigst. Much of the big news in health IT this year came out of the Office of the National Coordinator for Health IT. ONC -- along with CMS -- is in charge of overseeing the widespread adoption of EHRs through the meaningful use program. After years in the works, the first phase of that program is wrapping up right now. The past several years were almost frantic for HIT and ONC, with meaningful use standards, interoperability standards, incentive funding and a succession of creative and dynamic national coordinators, each with their own focus on what needed to be accomplished. Unlike other Executive departments, Medicine has been fortunate to have a clear path, relatively clear goals, and minimal political divisiveness......all to the benefit of our patients. mHealth has had an explosive growth in mobile applications for iOS and Android. The hardware form factors are multiple with stiff competition and new hardware offerings almost monthly. Growth and competition are plentiful and numerous manufacturers (Nokia, Windows, Google, Motorola,iPhone) in smartphone or pc tablet form. 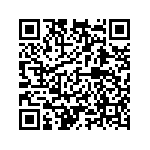 In many cases EHR vendors have rapidly developed a mobile app portal. The acceptance rate has been high for those who are tech savy. Despite the potential vulnerability to a security breech and all that HIPAA stands by on the sidelines ready to pounce with a hefty penalty. The plain truth is that these applications and hardware offer so much to efficiency a way needs to be found quickly to certify HIPAA compliance for each application and device. Not withstanding this urgent need there have been several attempts to regulate this market. FDA, FTC, FCC, and HHS have all been mentioned. Suffice it to say that regulatory agencies are pressed to stay current with new hardware and devices. Why, How and Which Mobile Health applications need regulation? "The workgroup’s efforts will likely end up affecting the regulation of mobile health and health IT. According to HHS, FDASIA requires Sibelius, with the ONC and the FCC, to “develop a report that contains a proposed strategy and recommendations on an appropriate, risk-based regulatory framework for health IT, including medical mobile applications, that promotes innovation, protects patient safety, and avoids regulatory duplication.” The new workgroup’s input will feed into that report. "As a general matter FDA regulates all medical devices and FCC regulates devices that utilize electromagnetic spectrum - i.e. broadcast devices. So with regard to mobile health devices - sensors, applications, systems - FDA regulates any given device as a medical device while FCC regulates the device as a communications device. Recognizing the potentially overlapping jurisdiction in digital health, in 2010 the agencies entered into a Memorandum of Understanding "to promote collaboration and ultimately to improve the efficiency of the regulatory processes applicable to broadband and wireless enabled medical devices." Last month FCC announced its mobile body area network (MBAN) proposal, which would allocate electromagnetic spectrum for personal medical devices (see link below). The allocated spectrum would be used to form a personal wireless network, within which data from numerous body sensors could be aggregated and transmitted in real time." Representative Marsha Blackburn (R-TN) and others introduced The Software Act.which will act to build a cohesive multi-agency over view of mHealth. The Affordable Care Act has placed most physicians in a state of conflict. I don't know any physicians who would not want all their patients to have good health and wellness. Wellness is always a less expensive alternative and pursuing it adds to the quality of life immediately. While the Affordable Care Act has these components as part of the basic standard many physicians cannot participate in the roster of providers who will accept patients in Covered California, the state exchange. Surveying other exchanges may reveal the same situation repeated 50 times. Much of it depends upon the rates for reimbursement set by insurers, and is individualized by each insurer. The California Health Care Foundation did a survey of physicians in California and found that 70-80% of physicians who studied the reimbursement plans, (about 70% of the Medicare rates) decided to not participate in Covered California (the Health Benefit Exchange run by the state. Medicare rates have already been decreased almost 50% since 1988. This in spite of inflation and skyrocketing administrative costs for providers due to increased regulatory requirements in order to be an eligible provider for CMS. Dr. Steven Larson, the CEO of the Riverside Medical Clinic (140 providers), said he was taken aback when he saw what insurance companies were willing to pay. “The rates were 70 percent of Medicare [reimbursement]. It doesn’t leave room for making a living,” he said. “It’s potentially a huge problem,” said Larson, who also is the chairman of the California Medical Association Board of Trustees. The clinics serve 300,000 patients under a variety of plans, including many Medicare patients who are not affected by the new exchanges. But the patients who want their care covered under a health exchange plan will now to have to look elsewhere for a doctor. In some cases they are trying to decide whether to join. In other cases they are finding that they have been dropped from plans. And many are just trying to get information about whether they are listed in an exchange plan or not. Covered California maintains that the plans offered through the exchanges include 80 percent of the state’s physicians. “We arrived at the 80 percent by comparing our network to the two largest commercial networks,” said Covered California spokeswoman Anne Gonzales. This reveals the lack of expertise and knowledge that state health agencies have about health care in the market place. A recent survey of California Physicians showed that 70-80% would not participate. About a year ago numerous insurers (or Covered California ) sent out letters of intent asking providers if they would participate in the exchanges. At that time there were no speciffics as to reimbursement or other provisions, which are left to the insurers as long as their policies conformed to the ACA benefits. This amounted to asking providers to sign a 'blank check'. Recent analysis of insurer directories reveal they are inaccurate for many reasons. The directories are prepared annually with many months of lead time. California Medical Association President Dr. Richard Thorp. “Many times when we look at their physician directories, they include names of people who have moved out of state, are retired or dead. ”Some physicians have even been listed in the exchange after they refused to participate because of the low reimbursement rates. The challenges to participate in Covered California are as great for providers as it is for patients. The scenario is unbelievable, except that it is fact. Insurers are required to notify doctors if they’re included, according to Lisa Folberg, vice president of medical and regulatory policy for the California Medical Association. That hasn’t always happened in Riverside, according to the executive director of the Riverside Medical Society. “Basically doctors don’t know if they’re in or out of the network,” she said. The society has told doctors to call the plans directly. If the present situation is confusing, unfortunately the future, despite the government's intention to organize health reform, looks even more grim. Insurance c ontracts are usually an annual renewal. 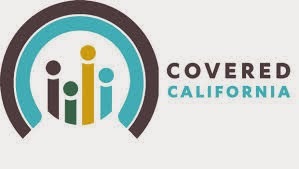 At any time after the first year and later as the system matures it will be in the purvey of these "guardians of Covered California' to alter the rates. Debt ceilings, national catastrophe, conflicts will all effect health. The current GDP incorporates the sixteen percent due to health enterprise. The ACA has added more levels and administration to an already bloated health system.